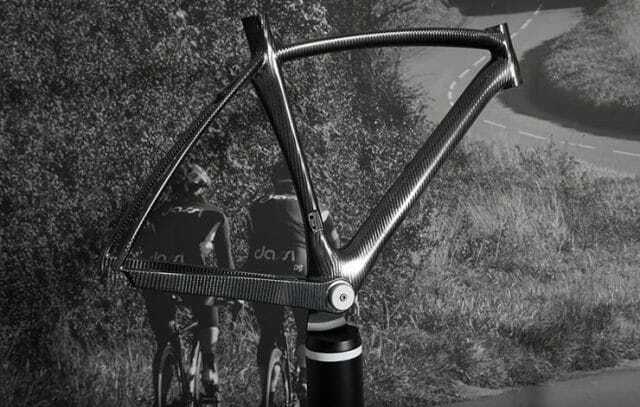 The future of cycling tech is already here. The future of performance cycling tech isn’t a glimmer in the eye of a forward-thinking engineer: It’s already here and accessible if you know where to look. From pill-based body temperature regulation to pedals that teach you to ride more efficiently, riders looking to soup up their cycling have a dizzying array of options. Here are five of the technologies we’re most excited about—and how to (kinda sorta) include them in your training right now. Staying optimally hydrated is a tough balancing act: drink before you feel thirsty, but drink too much and you’ll feel waterlogged. But soon, we won’t have to monitor our water levels so blindly—or even monitor them ourselves. Bicycles, accessories, and even cycling apparel equipped with sensors will tell you when to take a drink and when to let your water bottle rest in its cage. Current commercially available BIVA equipment is easily portable—if you’re, say, a medic. However, the technology involved continues to shrink and require less power to function, so patches could soon be integrated into gloves, handlebars, clothing, or headgear. One pro team used BIVA daily during the 2014 Giro d’Italia to monitor hydration, and a manufacturer, Akern/RJL Systems, exhibited a working version of its BIVA technology at the 2016 Science & Cycling Conference in Caen, France. Use It Now: The race is on to market the world’s first wearable BIVA-based hydration sensors. Competitors include Bitome, the Novel Devices Lab at the University of Cincinnati, and BSX Technologies, though none of their research has produced anything beyond prototypes. However, there are “smart” water bottles already available that communicate with smart watches and smartphones and remind you when to drink. Some of the more popular versions include the Pryme Vessyl, the H2O-Pal, and the Hidrate Spark. The Trago Cap is being developed to work likewise and fit on all widemouth water bottles. Cyclists waste energy by not directing it squarely through their feet on the pedals, meaning some of their hard-spent efforts don’t go straight into turning the cranks. 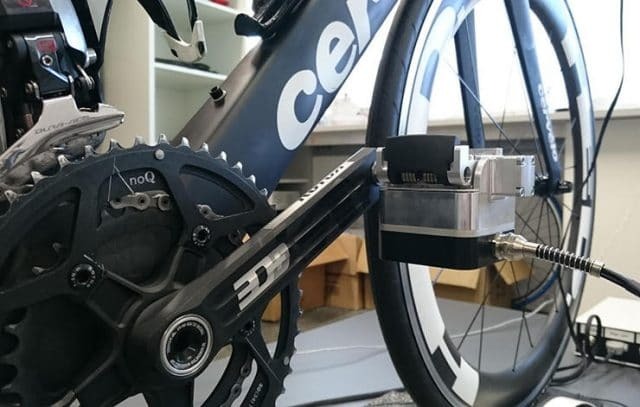 Dr. Borut Fonda reckons his force-torque pedals can tell you if you’re wasting watts. “In a bike fitting we can see how effective your pedaling is,” says Fonda, program director at diagnostic and training company Cycling-Science, based in Slovenia. 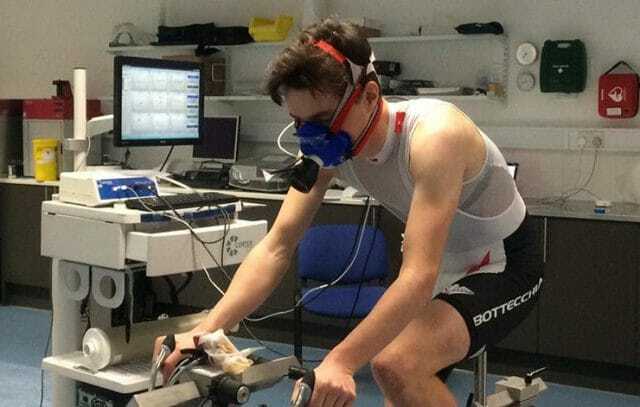 In a lab-based bike fit, he is able to measure the total force of the rider, and sensors inside the pedals measure how much of it moves through the cranks. The difference between the two numbers is how much the rider wastes, helping Fonda augment riding position accordingly. In a perfect world, the only real reason to stop riding would be fatigue. And if a burgeoning practice that’s being called ‘brain doping’ takes off, there could be a way to ride even farther before fatigue sets in. Researchers realised some fatigue-quashing results in testing in 2013, when Brazilian scientists saw perceived exertion drop and power grow in cyclists after a 10-minute round of transcranial direct-current stimulation (tDCS), which involves sending currents to the brain’s motor cortex (the part of the brain that controls the legs) through head-based electrodes; Red Bull’s Project Endurance has had similar success. Brain doping doesn’t alter physiology: The heart rates and lactate levels of test subjects in the Kent experiments were the same in both groups. Instead, it merely reduces a rider’s perception of fatigue. Tangentially, the researchers say a study of whether tDCS reduces exercise-induced pain will be complete in a few weeks. Use It Now: Lucky for EMTs, tDCS for home use isn’t yet a thing. But you can still boost your body without shocking your brain. Pharmaceutical stimulants used for physiological doping can be addictive, have undesirable side-effects, and (cough) get you banned from competition. Caffeine, however, can legally help reduce fatigue in moderation because its molecules block others from telling neurons that you’re tiring. The key? Printing these vanishingly small gadgets with graphene, and embedding them in the plastic matrices of carbonfibre frames. Graphene is a two-dimensional form of carbon with amazing properties (like conducting electricity better than copper). It’s produced in atomic-scale platelets, so it weighs almost nothing. Strain gauges, force sensors, and accelerometres are only the start. One day your bike will know you as a rider better than you know yourself. If you’re really jazzed about the idea of a super-connected bike, Taiwanese company SpeedX’s Leopard and Leopard Pro road bikes have navigation-enabled bike computers built into their cockpits. Muscular power improves by 4 to 7 per cent for every 1°C (1.8°F) increase in body temperature—one of the big reasons we warm up before a ride or race. “But if we warm up too much or get too hot while we’re cycling, it can affect performance” adversely, says BodyCAP Directeur-Géneral Sébastien Moussay. 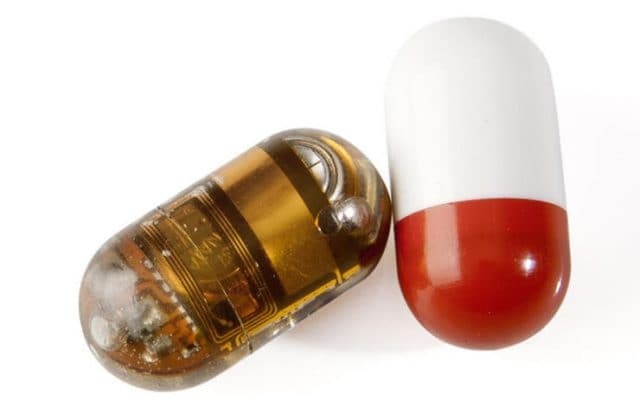 So he’s put a thermometer in a pill. Once swallowed, this teched-out lozenge radios your core temperature in real time to a bar-mounted display unit that can actively warn of imminent overheating. The pill can also store data for later download, and so can be used in competition without the weight penalty of the bar-mounted display.